PRISMA (Hyperspectral Precursor of the Application Mission) is an Earth Observation system with innovative, electro-optical instrumentation that combine a hyperspectral sensor with a medium-resolution panchromatic camera. VV13 flight is scheduled for the end of November. And the payload won't be Prisma. PRISMA Satellite launch date scheduled on February 2019. It is better to wait to have a reliable source. Moroccan media is reporting that the North African country’s second high-resolution Earth observation satellite, the Mohammed VI-B, is due to be launched on an Arianespace launch vehicle from the Kourou Space Centre in French Guiana in November 2018 on either the Vega or Soyuz ST-A Fregat-M satellite launch vehicles. It's just like last year when Aeolus was to have flown on VV-11 until the first Mohammed VI satellite was secretly manifested, causing Aeolus to slip into the following year. PRISMA will possibly fly on VV-14, now that Mohammed VI B is manifested for this mission. But not so good. This will be tight with 5 Vega / Vega-C starts in 2019. Don't forget the second P120C test firing at BEAP. It's very likely Regulus will improve there annual production record in 2019. AFAIK with the new P120C facilities, P80 (P88) can be tested off pad. This has reduced the launcher build-up schedule by a month. So the new schedule is ~ one month. What has caused the VV-14 PRISMA launch to be delayed? So far, the Vega campaigns have taken 7 weeks. I do not know how far that can shorten. An SSMS-mission launch for the first time. The gap to Ariane or Soyuz launches, 2 weeks or 3. I think a Vega launch every 2 months is optimistic. No Soyuz launches scheduled between April and October, that's good for the Vega. 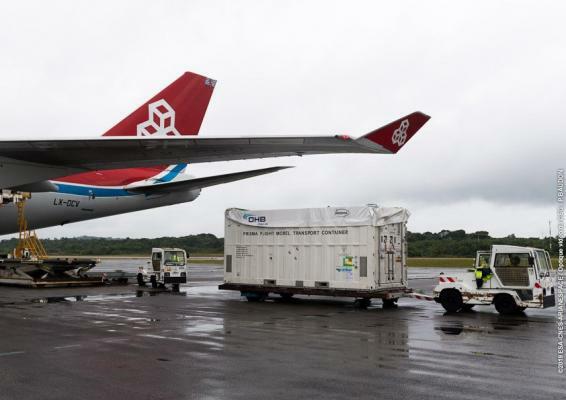 some heavy payloads for the Ariane could only then be ready. And the maiden flight of the Vega-C might need more preparation time. So if Vega VV17 launch in September, yes 5 launches, otherwise not. 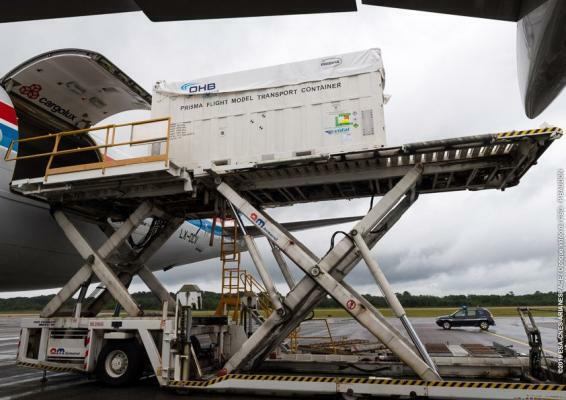 The satellite of the PRISMA mission (HyperSpectral PRecursor of the Application Mission), after successfully passing all the environmental tests carried out in Toulouse and having received the authorization for shipping to the launch base, arrived today, 11 January 2019, in French Guiana . 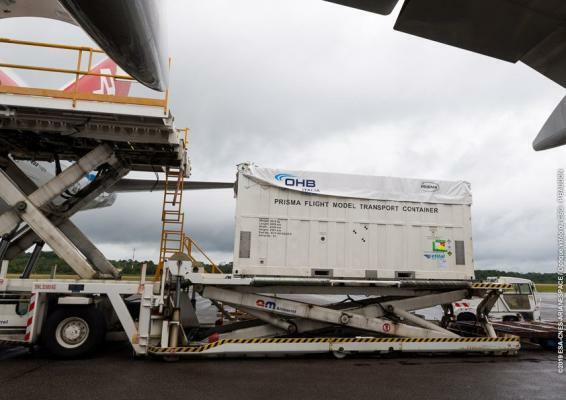 Located at the base of the Center Spatial Guyanais, PRISMA is preparing to face the launch campaign with the European carrier VEGA with a scheduled flight on the night between 8 and 9 March 2019. The VEGA is a launcher born in Italy and developed by 'ESA for in orbit of satellites up to 2500 kg which has shown excellent performance and reliability. PRISMA is a hyperspectral satellite, able to observe from optical to near infrared, and is the first of its kind for Earth Observation. Great satisfaction was expressed by Roberto Formaro, head of the Technology and Engineering Unit who managed the program, for the joint work of the temporary grouping of companies formed by OHB Italy - agent - and LEONARDO S.p.A. - principal. Francesco Longo, responsible for the Program, thanking all the staff involved for their efforts, recalled the importance of this mission which will be able to make a highly innovative contribution to the observation of the Earth for the study of natural resources and the main environmental processes. Some pics of the arrival of Prisma in French Gyuana, posted by Stéphane Israël on Twitter.